Just moments after ending today’s WWDC 2015 keynote, Apple updated its site with more information about iOS 9, OS X El Capitan, and WatchOS 2. The complete iOS 9 preview page is available to view here. Along with improvements to the built-in apps like Maps and Notes, Apple details the new iPad multitasking capabilities, the Proactive Assistant, and the under-the-hood refinements. While the first beta version of that software is available for developers to download today, you can sign-up now for Apple’s public beta program that launches in July. The software will arrive to the public this fall and be available for all devices running iOS 8. Users will be quite happy to hear that they won’t need as much free space on their iPhone or iPad to install the new software. While iOS 8 needed 4.58GB of free space, you’ll only need 1.3GB with the latest iOS version. Another interesting tidbit not announced during the keynote is that iOS 9 will now require six-digit passcodes. That will make it more difficult to crack your code as it ups the number of combinations from 10,000 to around 1 million. Also, a new Move to iOS app will make it simple for Android users looking to switch. It will securely transfer contacts, message history, camera photos and videos, Web bookmarks, mail accounts, calendars, wallpaper, and DRM-free songs and books. It will also help users rebuild their app library. You can learn more about WatchOS 2.0 here. Something not mentioned during the keynote is an Activation Lock feature in the new software. That will require you to enter your iCloud ID and password when activating a watch. Just like with the Activation Lock on iOS, any stolen watch would be nearly worthless without that information. Watch users should be able to officially download the software in the fall while developers can take a look starting today. 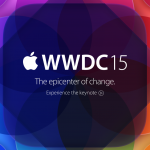 Finally, Apple is positioning OS X El Capitan as building on last year’s major Yosemite revamp. Along with Metal graphics support, it offers a number of improvements to Spotlight, Mission Control, and more. Just like iOS 9, developers can download the software today. The public beta program will kick off in next month. The final version of the free upgrade will land in the fall.